Building materials supplier 84 Lumber is throwing its hat into the Super Bowl ring for the first time. It is believed to be the first Super Bowl creative from a Pittsburgh agency — in this case, Brunner — in 30 years. It is Brunner’s first Super Bowl spot. The national spot is 90 seconds, which is unusual for a first-time advertiser. Rarely do brands elect this over 30 or 60 seconds and the companies that do are usually global giants, according to Brunner. The director is Cole Webley, whose resume includes work for Lexus, Adidas, and Delta. The goal of the commercial is to ignite a recruitment campaign for 84 Lumber’s management trainee program. It is aimed at males, ages 20 to 29. As one of the nation’s leading privately held building materials supplier, 84 Lumber has a following in the home building industry, but is largely unheard of among the mainstream audience that will be watching the Super Bowl. Marketing has always been a key part of the company’s business, although this is the biggest thing the company has ever done, Smiley says. 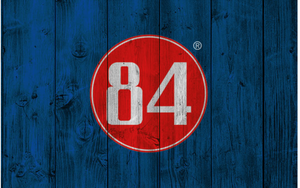 The spot will convey that 84 Lumber is a destination for people who are looking to take the next step in their careers. “And to find those people, we have to cast a wider net. And there’s no bigger net to cast than the Super Bowl,” Smiley adds. Founded in 1956, 84 Lumber operates more than 250 stores, component manufacturing plants, custom door shops, custom millwork shops, and engineered wood product centers in 30 states, representing the top 130 markets in the country.